The wife of a Taiwanese rights activist detained in China said she would go to Beijing to "rescue" her husband in a case that has deepened cross-strait tensions. TAIPEI: The wife of a Taiwanese rights activist detained in China said Friday she would go to Beijing to "rescue" her husband in a case that has deepened cross-strait tensions. China confirmed this week Lee Ming-cheh is under investigation for suspected activities "endangering national security", without revealing details of where he is being held. It is the latest in a series of incidents that have strained relations between Beijing and Taiwan since China-sceptic president Tsai Ing-wen won the leadership last year. NGO worker Lee, 42, was last heard from on March 19 after he entered the southeastern Chinese city of Zhuhai from the semi-autonomous enclave of Macau. Taiwan has blasted China for the lack of explanation over his whereabouts, describing his disappearance as "deeply regrettable". Rights group Amnesty International said the case sparked concerns that China is "broadening their attack against those carrying out legitimate activism". Lee's wife Lee Ching-yu said Friday she had decided to travel to Beijing to demand answers. She said she would not be using a lawyer. "Any legal defence is useless in a country where rule of law has not kept up with international levels," she told reporters. "I must act, I must make a declaration," she added. "My husband is suffering every minute, every second," she said. Lee, who works for a community college in Taipei, had been sharing "Taiwan's democratic experiences" with online Chinese friends and sent them books, according to a petition for his release led by the Taiwan Association for Human Rights. He also told his friends to donate to the families of human rights lawyers detained by China, the petition said. Taiwan's cabinet on Thursday called on China to engage in dialogue to handle the case and to arrange for a visit for Lee's family and a lawyer. China has not commented further since confirming Lee's detention on Wednesday. Beijing has severed official communications with Taipei since Tsai took office last May. 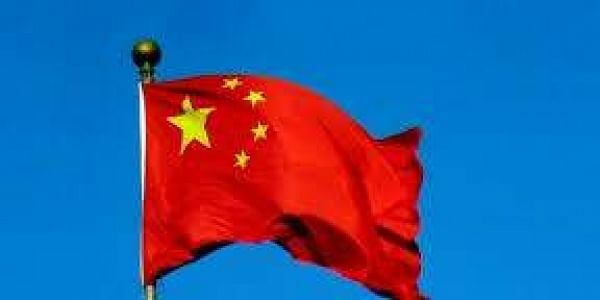 Chinese authorities deeply mistrust her Democratic Progressive Party (DPP), which is traditionally pro-independence. Taiwan has been self-ruled since 1949 following a civil war on the mainland, but it has never formally declared independence and Beijing still claims it as part of its territory. China has ratcheted up pressure on Tsai, stepping up military drills near Taiwan and seeking to bar the island from international events. Beijing was incensed by Tsai's congratulatory call to then-US-president-elect Donald Trump, which upended decades of diplomatic precedent.